As the new spring collections trickle into the shops, we're keeping our eyes open for the next cult item. Last year, the second Topshop released that polka-dot dress, we knew it would be a hit. 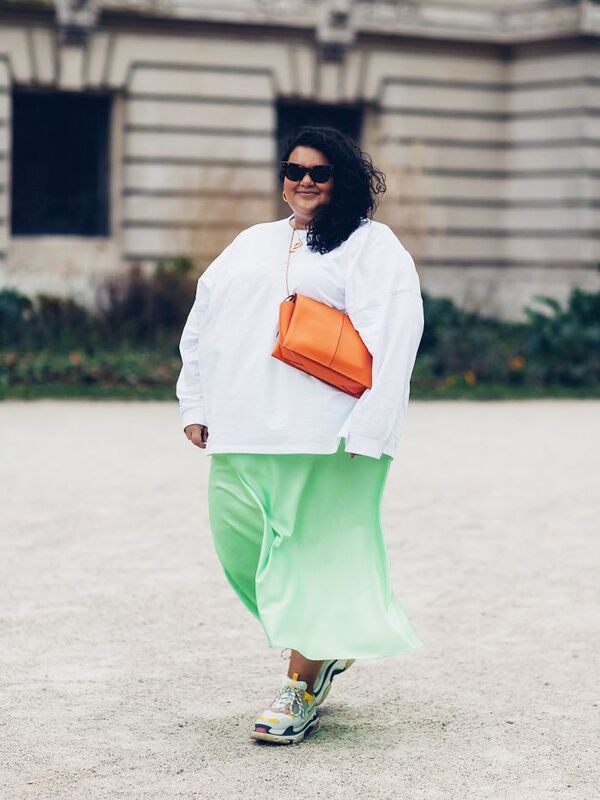 Of course, our always-on-trend readers were among the first to pluck it up and style it in their own ways. This week, Topshop dropped a few pieces in a new animal print: giraffe. While it does sound a bit wild (excuse the pun), if you break it down, it makes perfect sense that it would become a new viral print. It's animal print (leopard, zebra, tiger all ruled through 2018) but also looks a bit like the perennially popular polka dot. It's the natural evolution in the animal print world. Keep scrolling to shop the dress and other new in dresses at Topshop that will definitely sell out for spring. 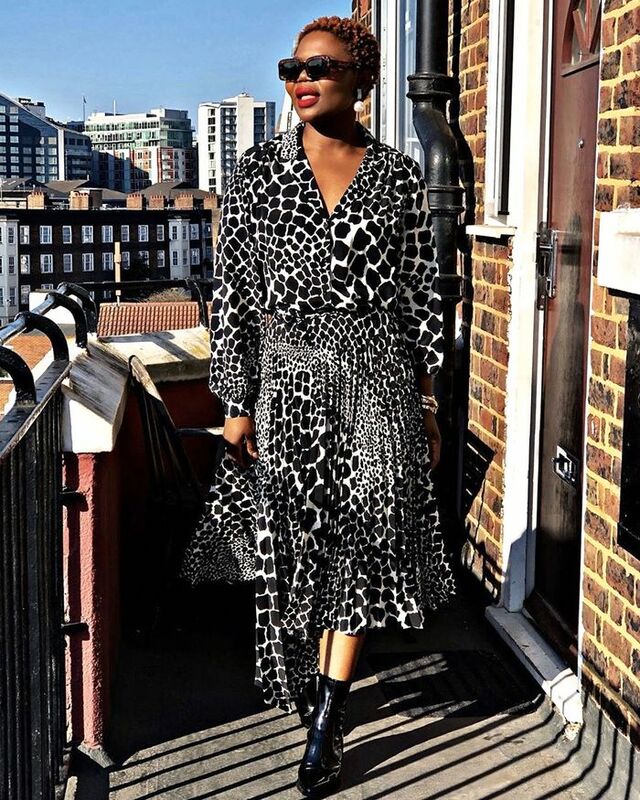 I spotted Topshop's new giraffe print while scrolling through our tagged photos on Instagram, and one of our favourite readers, Rosa Sofia, who always has a keen eye for high-street cult buys, had styled the top and pleated skirt together as a set. While these pieces will no doubt be popular as separates, I'm betting on this mini wrap dress as the reigning piece of the season. It can be worn so many ways, but I'd wear it Ganni boots and a pearl hair clip.